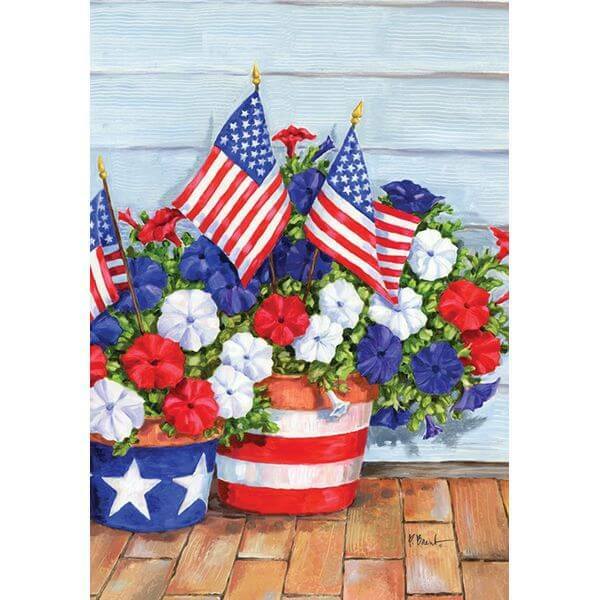 Show your patriotic pride in a beautiful way with the Toland ‘Patriotic Pansies’ Patriotic Garden Flag. The still-life graphic is heat sublimated onto the machine-washable polyester flag to ensure fade resistance. Machine washable, the flag inhibits mildew growth and is made from multiple layers of fabric to ensure durability. Dimensions: 18 x 0.1 x 12.5. Let Old Glory fly with the United States of America Garden Flag! This American flag is designed to be hung on a standard garden flag holder and measures 18 inches by .1 inch by 12.5 inches in size. Its weather-resistant fabric will remain vivid even when the flag is placed in direct sun. 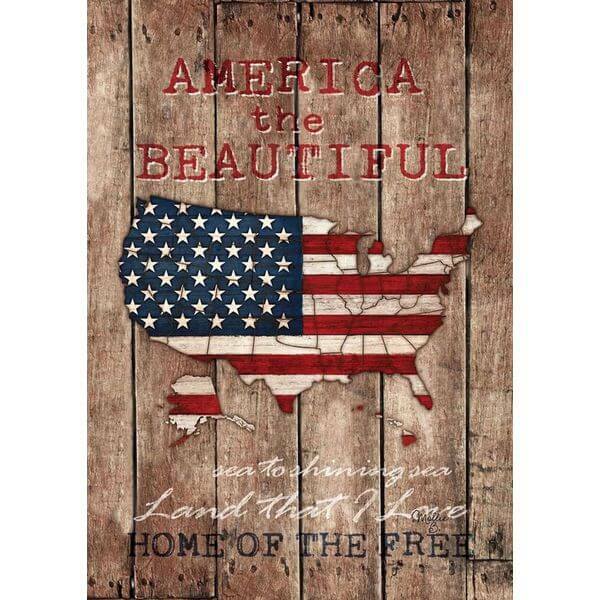 Celebrate the land of the free with the America the Beautiful Patriotic Garden Flag. Printed on one side, the 12.5-inch by 18-inch flag is designed to look as if it were made out of wood planks and shows a map of the United States covered with the American flag. 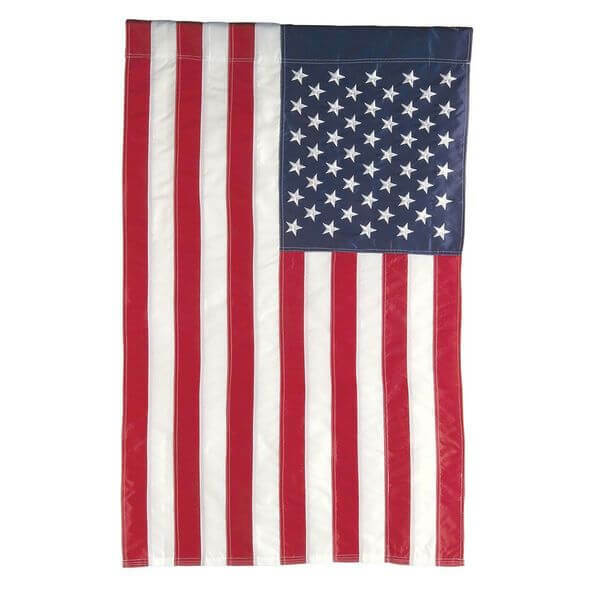 The Americana Welcome Garden Flag is a flag brimming with patriotic pride and country charm. 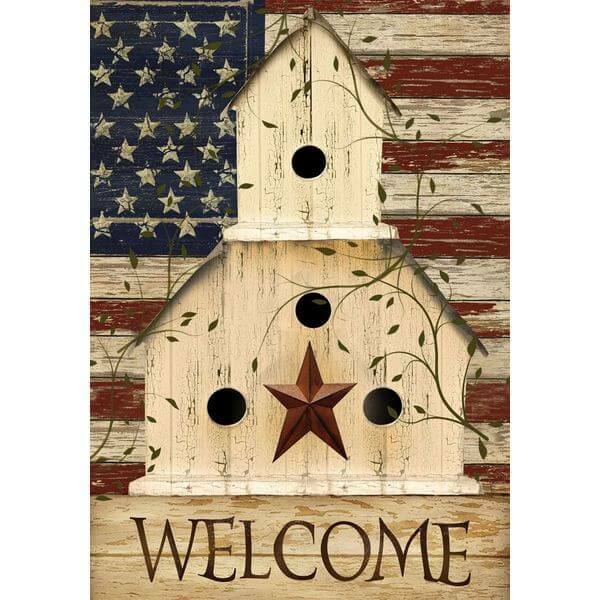 Carefully printed to resemble wood planks, the polyester flag features a birdhouse in front of the American flag. The image is produced on just one side. At 12.5 inches by 18 inches in size, the flag fits most standard holders. 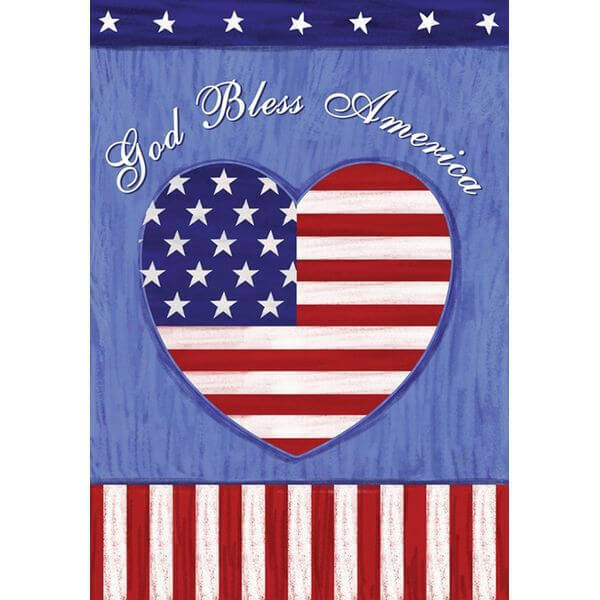 Salute the USA with the Toland ‘God Bless America’ Patriotic Garden Flag. You can display this garden flag every day of the year without worry about wear and tear because it’s crafted out of multiple layers of durable, mildew-resistant polyester fabric and heat-sublimated to prevent fading in the sun. Display the Remember Our Troops Patriotic Garden Flag on Veterans Day, Memorial Day or any day of the year. 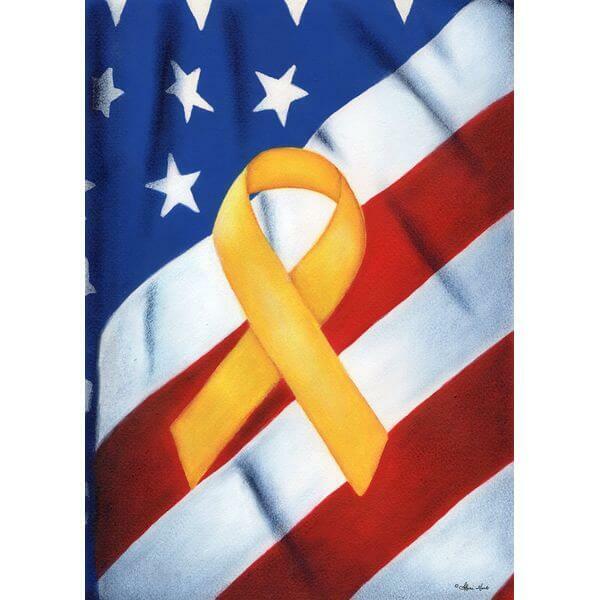 This one-sided 12.5-inch by 18-inch garden flag pays tribute to the soldiers who protect the USA with its yellow awareness ribbon and shows your patriotic pride with its stars and stripes background.